Maxfone M102 is a new handset from Maxfone. This handset is a multimedia phone that has got a music player and a FM Radio with sound recorder. The display screen is 1.8 inch wide. It also has a powerful long-lasting battery. This Dual Sim phone comes with a price of Rs. 1569. Maxfone M301 Maxfone M301 phone comes with a nice look having Steel Back Cover and crystal glass keyboard. 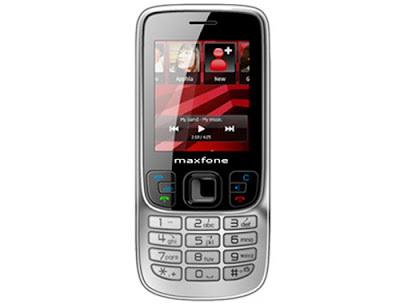 Maxfone M301 plays Loud Music and supports T-Flash. The other features such as Dual SIM, Bluetooth, Music player, Camera, MP3/MP4, FM, Password Protection, Blacklist. 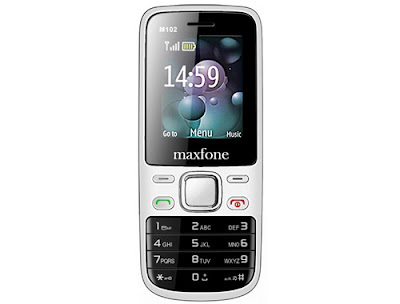 Maxfone M301 has got a long-lasting battery which produces stand by up to 30 days. The price of Maxfone M301 is around Rs. 2199. 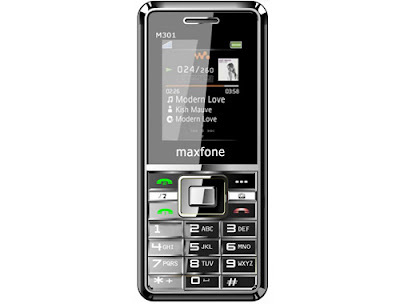 Maxfone M101 Maxfone M101 is a Dual Sim handset producing dual stand by. The Maxfone M101 has a 1.8 inch display screen which ensures high resolution along with a torch light. This multimedia phone offers MP3 music player as well as a wireless FM Radio. The memory is expandable up to 2 GB. The price of Maxfone M101 is Rs. 1599. Maxfone M201 Maxfone M201 provides a 1.8 inch TFT display. 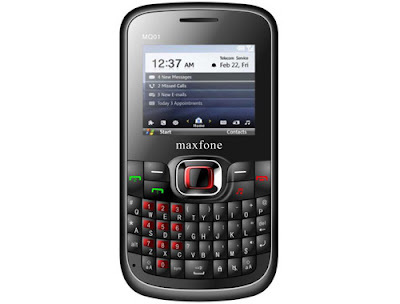 Maxfone M201 handset has features such as SMS, MMS, camera, MP3 and Blacklist. The memory is expandable upto 2 GB. This handset produces loud music along with 3.5 millimeter audio jack. Maxfone M201 offers a long battery which provides 30 days battery backup. The price of Maxfone M201 is around Rs. 1999. The mobile handsets produced by the company Maxfone Mobiles are as always of very good quality and within affordable price of average Indian people. So the phones are becoming more and more popular day by day in India.